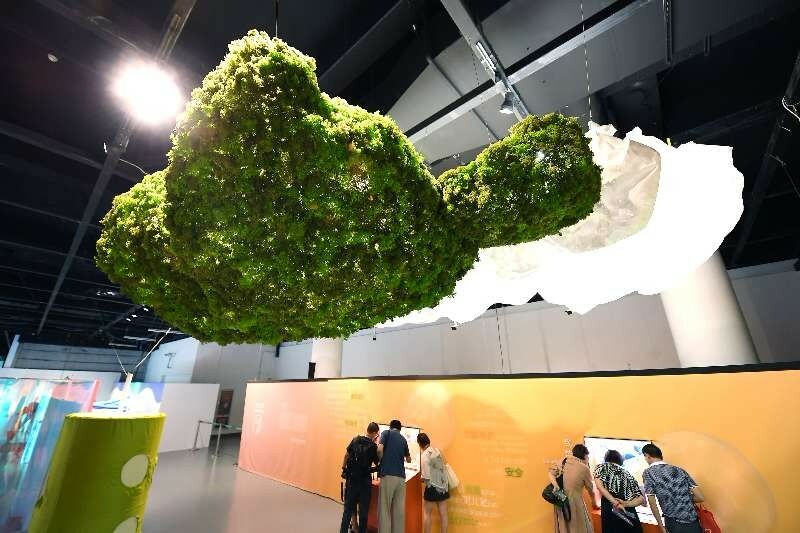 From July 10 to October 9, 2018, an original exhibition named “Material 2.0 – the Emotional Materials in the 21st Century” was held at the Shanghai Natural History Museum (a branch of Shanghai Science and Technology Museum). The exhibition consisted of five thematic areas: “sensory labyrinth”, “sense of security”, “sense of fantasy”, “sense of humor” and “sense of future”. By connecting materials with emotions, it aimed to initiate emotional dialogue between the audience and new materials. The exhibits included more than 100 samples of rare materials, some 30 interactive devices and multimedia. With more than half of the rare materials making their debut in China, the exhibition offers the audience an unprecedented experience on new materials.